This post isn’t another How-To tutorial for a specific sensor because the Arduino community has already produced a considerable number of resources like that. You’d be hard pressed to find any sensor in the DIY market that doesn’t give you a dozen cookbook recipes to follow after a simple Google search. In fact, you get so many results from “How to use SensorX with Arduino” that beginners are overwhelmed because few of those tutorials help people decide which type of sensor suits their skill level. 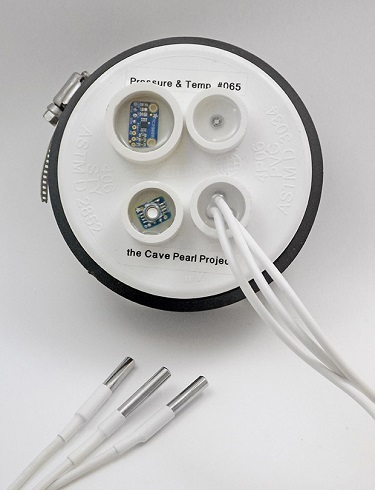 This post attempts to put the range of different options you can use with a Cave Pearl data logger into a conceptual framework, with links to examples that illustrate the ideas in text. This entry was posted on Monday, January 15th, 2018 at 10:43 pm	and is filed under Arduino, tutorials. You can follow any responses to this entry through the RSS 2.0 feed. You can skip to the end and leave a response. Pinging is currently not allowed.